In Oral History, I explore the relationship between food and autobiographical memory. 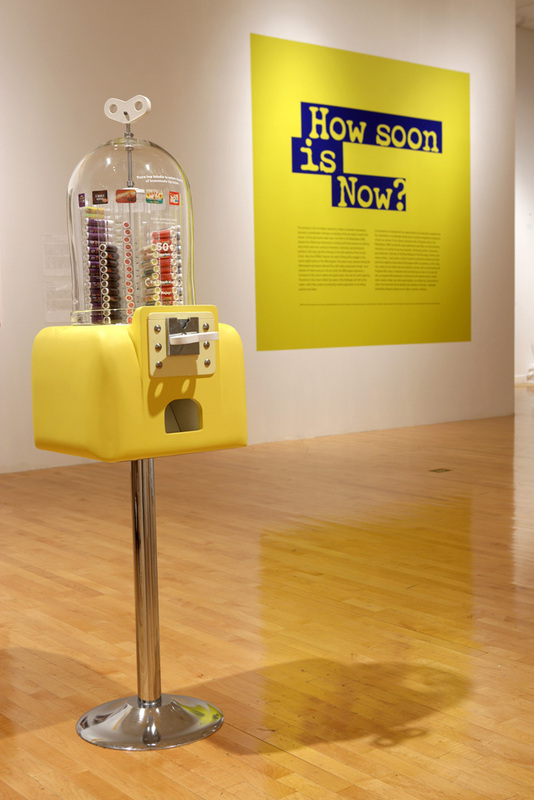 This interactive machine vends homemade lip balm with flavors based on actual food-related stories or memories that I have collected over time. 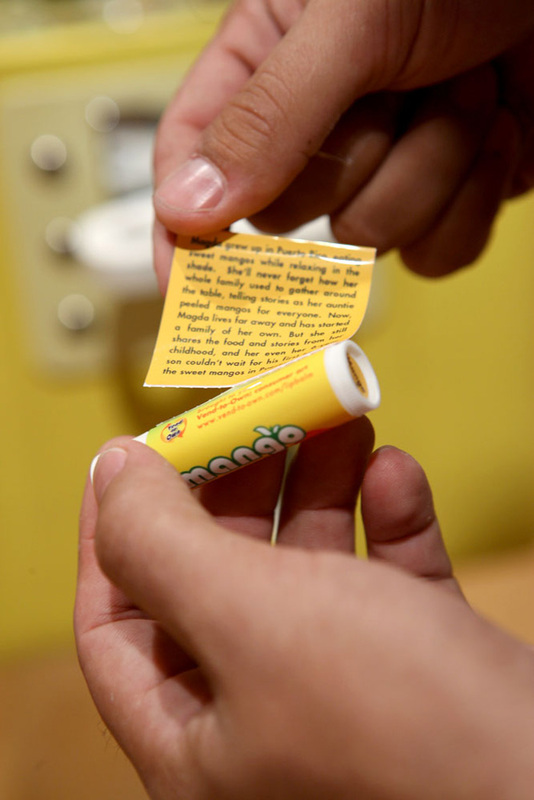 There are 12 flavors total, including: ‘Pumpkin Pie for Natalie,’ ‘Mac n’ Cheese for Leslie,’ and ‘Butter for Justin.’ Each tube is labeled with its corresponding story and packaged to look like a familiar brand-name product, complete with shrink-wrap. Flavor is often linked to memory and meaning, and can be expressed in just one bite. With that in mind, this piece was designed to generate opportunities for sharing experience through taste association.